Directed by David Leitch. With Dwayne Johnson, Idris Elba, Jason Statham, Vanessa Kirby. 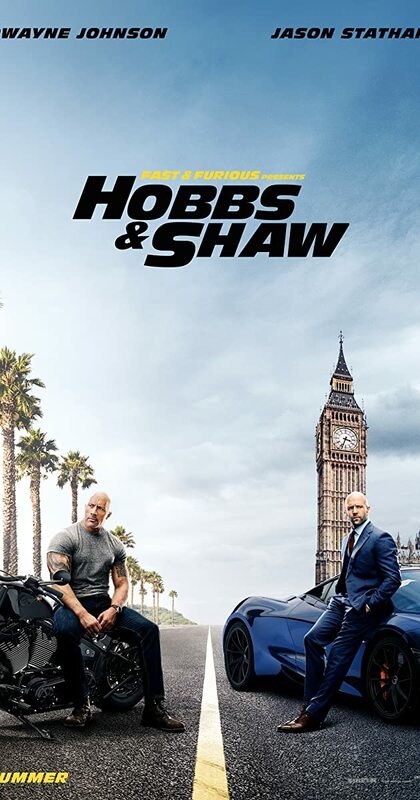 Lawman Luke Hobbs and outcast Deckard Shaw form an unlikely alliance when a cyber-genetically enhanced villain threatens the future of humanity.